Natural treatment of diabetes is possible in most cases. If you have been diagnosed with pre-diabetes or diabetes, the following summarized information will help you a lot. You will be surprised to know that natural treatment of diabetes using nutrition, exercise and homeopathy is easy and will help you avoid many of the medicines and their harmful side effects. If you have a fasting sugar level of above 106 mg/dL but below 126 mg/dL, then you are pre-diabetic. What it means is that your body is not processing sugar the way a normal person does and you have a very high chance of developing diabetes. If you have a fasting sugar level of above 126 mg/dL then you are diabetic. What it means is that your body is not processing sugar the way a normal person does. Type-1 diabetics are those people who are born diabetic. Type-2 diabetes are those people who are born fine and develop diabetes later on. Both these types need medicines and/or insulin to stay healthy. Why is Diabetes dangerousIf diabetes is not managed, it can cause serious health issues like blindness, kidney failure, extreme nerve pain etc. In very advanced cases, unfortunately no. But homeopathy can improve your overall health and stop further deterioration that diabetes may cause. Homeopathy can cure Pre-Diabetes (see details below). To understand the role of homeopathy in the natural treatment of Diabetes, first you have to understand what causes Diabetes. 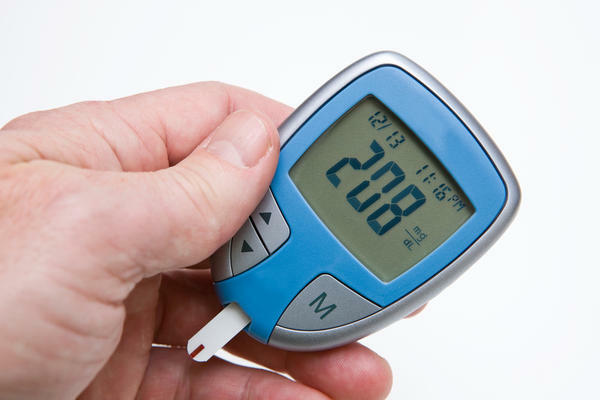 Diabetes is the inability of body to process sugar properly either due to the lack of insulin OR due to the inability to use insulin (called insulin resistance). These are two totally different problems and require different solutions. Unfortunately, the allopathic medicine doesn’t make this distinction and regardless of whether you have enough insulin or not, it works on both fronts i.e. forces your body to produce more insulin AND also improve the ability of the body to use insulin efficiently. These medicines do this by working on the liver & pancreas. Homeopathy can cure insulin resistance i.e. the inability of the body to use insulin. But if the pancreas is failing and the body doesn’t have enough insulin, homeopathy can’t help in that case. Present treatment of Pre-Diabetes with allopathic medicine just accelerates it to full fledge diabetes instead of delaying it. Depending on the results, your treatment will be decidedIf your Insulin level comes high, it’s a great sign which shows that your pancreas is healthy and producing enough insulin. In this case, the reason of your pre-diabetes is that your body is not using the available insulin. Start walking 30-40 minutes a day for 5 days a week with your spouse/friend. Add 20 minutes of strength training 3 days a week to it. Eat whole foods only i.e. whole grain bread, brown rice etc.The bread should be high in bran content & the flour should be coarse ground. Start eating a bowl of salad at least once a day e.g. it should contain cucumber, carrots, salad leaves, tomato and any vegetable you like. Put a dressing of olive oil & raw apple cider vinegar and put some salt & black pepper to your liking. Natural treatment of diabetes is achievable through a healthy & holistic lifestyle.